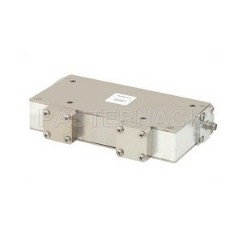 The PE83IR1015 from Pasternack Enterprises Inc is a RF & Microwave Isolator with Frequency 1.7 to 2.2 GHz, Average Power Forward 10 W, Average Power Reverse 2 W, Insertion Loss 0.8 dB, Isolation 40 dB. Tags: Module with Connector, Coaxial Isolator. More details for PE83IR1015 can be seen below.